Local comic convention show-runners join the JustUs Geeks this week to talk about all things geek and cosplay. 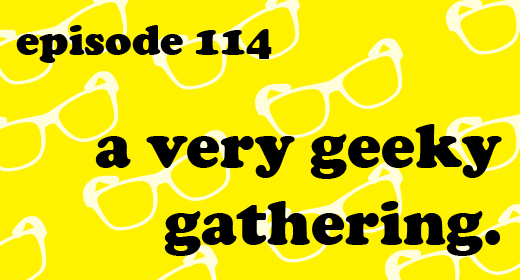 John and Cori join Josh and Jaimee this week to talk about the upcoming Geek Gathering, a new and local comic convention that is taking the Shoals by storm. This week’s #TweetTheGeeks question of the week is one of the best in quite a while, and you can still leave your answers in the comments below. WE WANT TO HEAR FROM YOU! John and Cori talk about how the convention was started, what all it takes to run a small con, and about the thousands of local fans that have shown them support. After the break, John talks about cosplay, and the significance it’s played in his life. Make sure to go give The Geek Gathering a ‘like’ on Facebook; just click this link! Subscribe to the JustUs Geeks YouTube Channel today! No Outsourced Geeks Here: CALL US AT 1 (707) OK-GEEKS NOW!